Remind myself not to do housework so late at night again! I had just finished cleaning the toilet when I realised the water would not stop flowing. The first thought that came to mind was to switch off the water source, but I had not dealt with this problem before. I tried to call a few people while I figured out how to make the water stop. 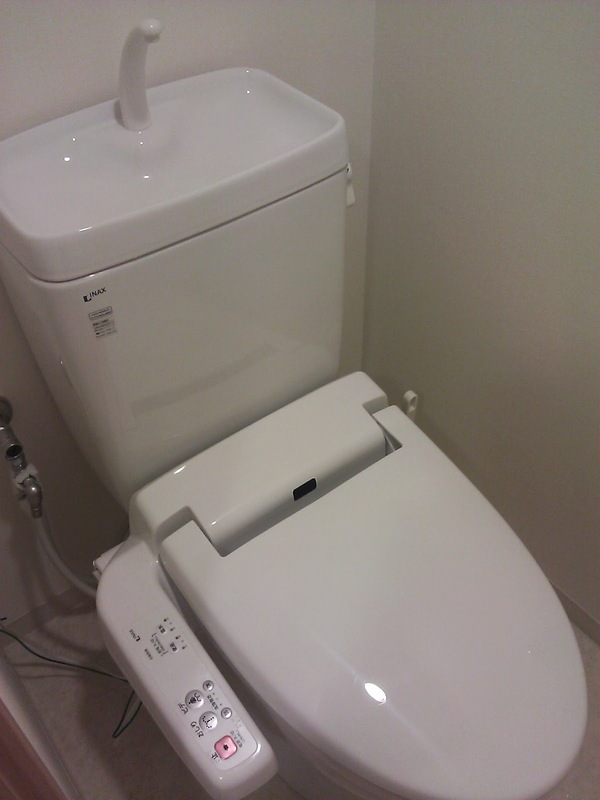 In the Japanese style toilet with the little washlet, I can't just open the tank cover to find out what's wrong, because in my previous experience, the water would gush out instead. That time was when I had just moved in, and good thing I managed to call the real estate agent who had just dropped by then. A few calls were made, but obviously at 1:00a.m., no one would be picking up the phone! I was so glad Ako-san picked hers up, I knew she must have been sleeping from her voice. But I figured, she was one of the closest and if anything, her husband would be around to help if needed. She tried to guide me through the phone, as I struggled to imagine what she was saying in Japanese. We tried the water source next to the toilet, but that was too tight. Then we tried the water source outside my room. After a few attempts, because I was not sure how tight or in which direction I should turn the switch, and there were two (it was like trying to detonate a bomb, what if I made the situation worse?!) we finally managed to get the water stop. After confirming that there was no water flowing out from the kitchen sink too, I proceeded to open the tank cover, and discovered that the tank cleansing pill had gotten stuck near the hole. I heaved a big sigh of relief as I called Ako-san back to thank her for her guidance. It seems like such a simple thing looking back, but living in a foreign land, with this sort of problem in the middle of the night in winter can sound like a crisis! did i sleep through it?